Adopted on February 18, 1970. Legislative action in 1970 designated western wheat grass, (Agropyron smithii,) the state grass of South Dakota, the first state to adopt a wheat grass, and an honor it shares in North Dakota and Wyoming. 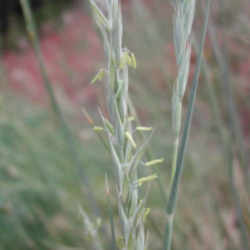 It is a common associate of grama grass and needle grass. This native grass is sometimes called bluestem wheatgrass because of its bluish-colored stems and leaves. 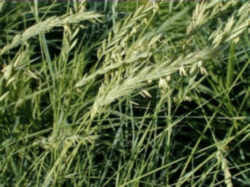 Western wheat grass is a native, cool season perennial sod forming grass. 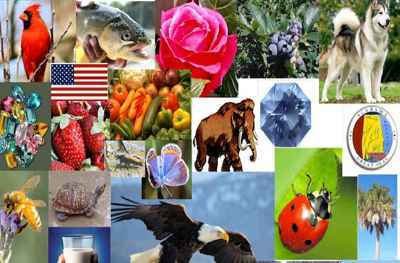 It reproduces from underground rhizomes and seed. Growth starts in early fall, remains green in winter and has most growth in the spring reaching a height of 12 to 30 inches tall. All classes of livestock find Western Wheatgrass a nutritious forage, palatable especially in springtime when forage is green. Western wheat can stand closer grazing than most native grasses. Western Wheatgrass grows in areas from the Texas Panhandle as far north as Canada and from the great lakes regain to the west coast. It can be found growing on hill sides, plains, and often found in old bottom lands. It is the most drought tolerant of the cool season grasses. It is moderately alkaline tolerant, therefore, it is a good choice for reclamation of surface mine spoil sites. "Arriba" is an aggressive sod forming grass with good seedling vigor and is an important conservation plant. 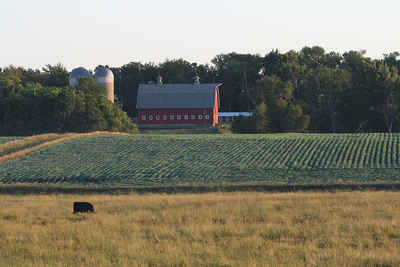 With adequate moisture it provides large amounts of nutritious forage. Culm: Erect, hollow, 12 to 40 inches tall, glabrous to glaucous, sterile shoots at the very base, growing singly or in small clusters. Blades: Flat to involute, 4 to 10 inches long, rigid, tapering to a point, bluish-green, scabrous above, prominently veined. Sheath: Shorter than the intenodes, rounded, glabrous or scabrous. Ligule: Short, membranous ring, erose to somewhat ciliate, truncate. Inflorescence: Terminal, erect, two-sided spike, 3 to 8 inches long. Spikelets: Solitary or sometimes two per node, overlapping, 5 to 10 flowered, .6 to 1 inch long, glaucous. The lemmas and glumes occasionally have awns. 1-6-13. State grass. 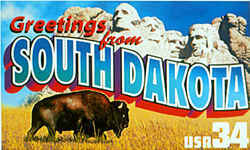 Western wheat grass (agropyron smithii) is hereby designated as the state grass for the State of South Dakota.